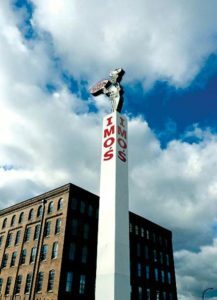 The opening of the new Imo’s Pizza headquarters in downtown St. Louis signaled the start of the pizzamaker’s workforce expansion, but executives say the new facility also will grow its retail and distribution operations. About 25 employees have moved into a new $5 million headquarters and distribution facility in downtown St. Louis, and that’s just the beginning. Eight Points pylon sign is up and ready in Poplar Bluff MO! 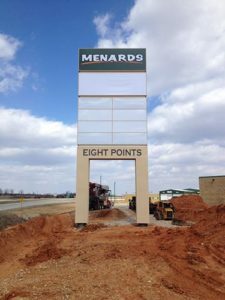 Eight Points multi tenant pylon sign took a 128 mile road trip to Poplar Bluff, MO. and is now up and ready to show off! From the Footings, to Fabrication to Installation, just another day at the office for the Piros team. 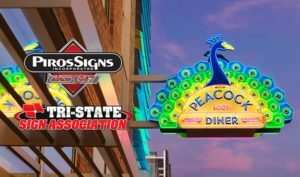 [Read more…] about Eight Points pylon sign is up and ready in Poplar Bluff MO! The new Ford sign is up at Ballpark Village and ready for Opening Day! 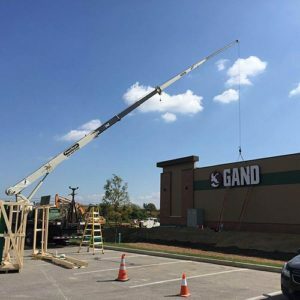 What an awesome example of Piros Signs’ handy work! This new Ford sign at Ballpark Village is impressive at the very least. At 30′ long and 12′ tall with over 1000′ of neon, there will be no denying this neon sign! See you on Opening Day! 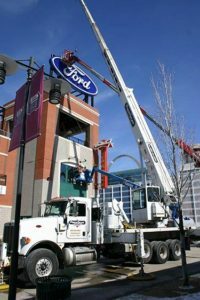 [Read more…] about The new Ford sign is up at Ballpark Village and ready for Opening Day!